Starbucks kicks off spring with the new Crystal Ball Frappuccino, which arrives March 22, 2018 and will only stick around for four days, while supplies last. The dessert beverage is a green-swirled, peach-flavored Creme Frappuccino topped with peach-flavored whipped cream, turquoise sprinkles, and, to glimpse your future, one of three different colored candy gems. - Purple - "Magic. Wonder and enchantment are headed your way. Also owls." - Blue - "Adventure. 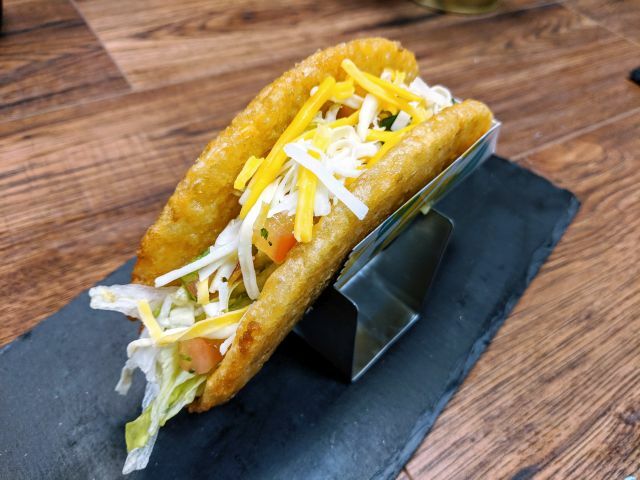 Better pack a snack today. Maybe an umbrella." - Green - "Luck. Wherever you go, good fortune will follow." 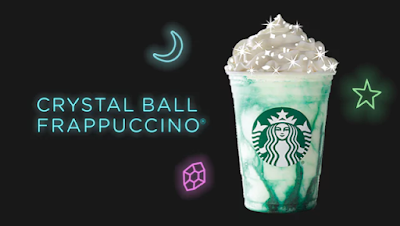 The gimmick of the drink is that neither you nor the barista will know what color/fortune you will get until they sprinkle on the candy gems as the containers they come in are opaque.